I do ask my mama about her mother frequently but I tend to get the same answers and I am somehow unsatisfied. She lived a very interesting life, but what I’m curious about is her internal world. What she struggled with, what held her back, what liberated. How love moved through her body, etc. My mom doesn’t seem to know the answers to this. 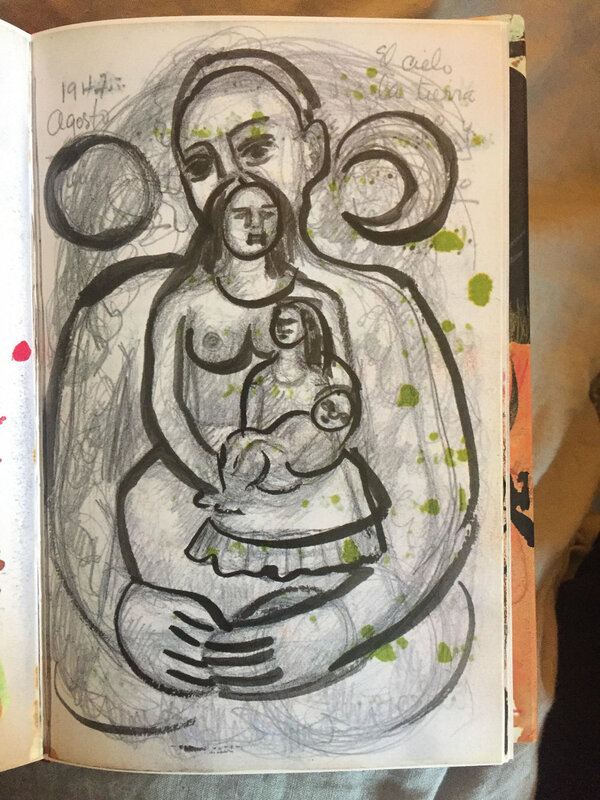 I’ve been peeling through Frida Kahlos diary, attached is an image that spoke to me. From what I’ve recently read “The egg that created you was formed inside of your mother’s fetus while she was inside of your grandmother’s womb." If your grandmothers are still alive get to know them. If not, you can still connect with them through the life you live, by living their unanswered questions.